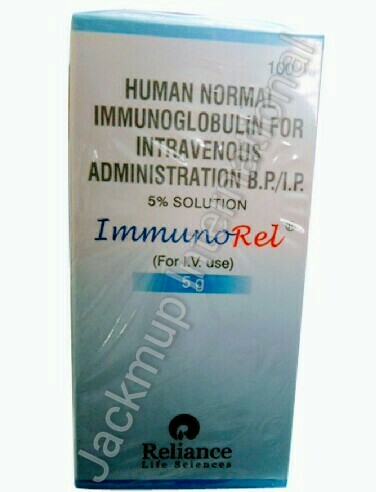 Description:- Immunorel 5% w/v infusion is used in the treatment of infections. It contains antibodies, mainly immunoglobulin G (IgG), to various bacteria and viruses present in the general population such as hepatitis A, measles, mumps, rubella and varicella. It has a distribution of IgG sub classes that is very close to that of the normal human plasma. It is therefore, used to provide passive immunization against such diseases.